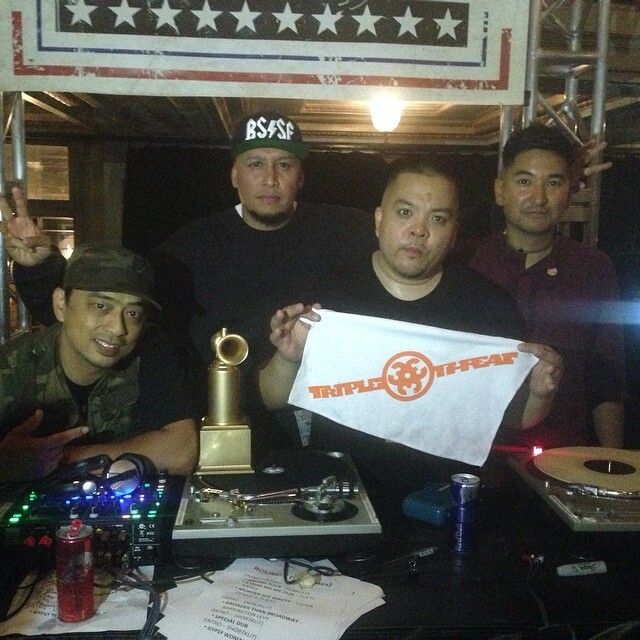 CONGRATULATIONS TO THE RBMA CULTURE CLASH SF CHAMPIONS: TRIPLE THREAT DJS! This past Wendesday, October 1st was the Redbull Music Academy Culture Clash San Francisco and it was epic! 4 Soundsystems: Dirty Bird, Dub Mission, Tormentia Tropica, & the homies, Triple Threat Djs competed for the coveted clash. Triple Threat consist of our very own Shortkut, the legendary Dj Apollo, the incredible Dj Vinroc, & their mic handler Fran Boogie. The odds were up against the Triple Threat Djs especially when Dirty Bird brought out the big guns with Dj Craze, Diplo & Major Lazer, Too Short, Pharoahe Monch, & get this…..Daft Punk. Triple Threat had a couple of other surprises of their own: Lyrics Born, Zumbi from Zion I, & Souls Of Mischief….but the real shocker of the night (at least to us) was bringing out the legendary Crystal Waters to perform “Gypsy Woman” live! Congratulations to our family, the Triple Threat Djs for winning the Redbull Music Academy 2014 Culture Clash San Francisco with such honor…..much deserved! RedBull Music Academy SF Culture Clash 2014 Champions :: Triple Threat Djs sizzle from OpenLineMedia on Vimeo.